To get the boat in the water, we need $19,500. Only $8,500 $7,500 to go. The economic crisis in South Sudan has made it exceedingly difficult to finish the boat that Jalle set out to build in 2014. Together with Jalle, we succeeded in getting the body of the 70-person boat built, but stalled out when we could not obtain a motor for a reasonable and stable price due to the war economy. 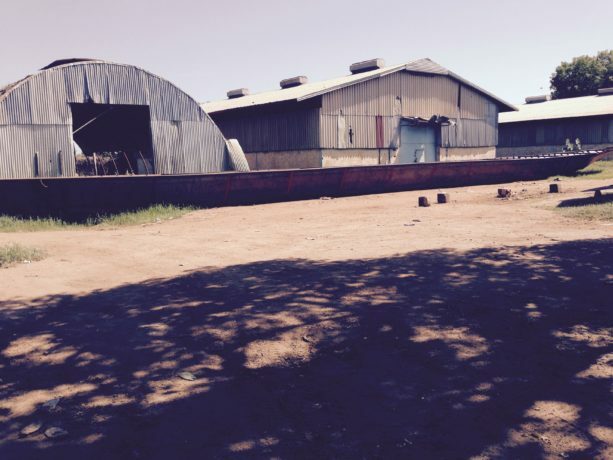 In December 2017 we found out that we’re losing our storage for the boat in Juba. Now we have to get the boat operational and in the water. Fast. We need to get the boat operational by March 10, 2018 which means we need to have the cash ready to go by February 27, 2018. The boat will be operated by members and neighbors of the Jalle community. Support Sustainable Food Systems: The boat serves as a tool to secure food via fishing in the context of a man-made famine. Transportation for People: The roads from Juba to Bor town are often closed or insecure. The boat is a more consistent and reliable method of transportation. It can also help move people from far out villages along the Nile to other villages and Bor Town. Delivery of Supplies: In December 2017 the dire situation at the BorTown State Hospital was revealed to us: the very capable staff lack supplies of almost every kind. This boat provides a method to deliver medical supplies, building supplies and other humanitarian needs. Export Handmade Items to support Women’s Micro-economics: With the right tools in place, there are small scale opportunities to increase economic stability of the women in Jalle. This boat is one of those tools. This Boat belongs to the community of Jalle. Members of the community, chosen by their leadership and council group will run and operate the boat. Sustainable Hope and Development, the administrative organization that implements Rebuild South Sudan programs on the ground, will assist with providing administrative infrastructure. Members of Jalle are in process of writing up the final operations manual. June 2014 Board Approves Boat Purchase, estimated cost of boat is $15,800- $16,000 USD. October- November 2014 Economy in South Sudan is unstable. Due to inflation boat cost rises to $18,000 USD. December 2014 We reach our fundraising goal to be able to pay for the boat. Rebuild South Sudan Board of directors approve that $18,000 USD be sent to South Sudan. Katie Rivers sends to $18,000 USD to Michael Mayen, a member of local leadership of Jalle/ Rebuild South Sudan partners in South Sudan. January – February 2015 Looking for new boat builder. Original boat builder went out of business due to current civil war. March 2015 Material for Boat are purchased. 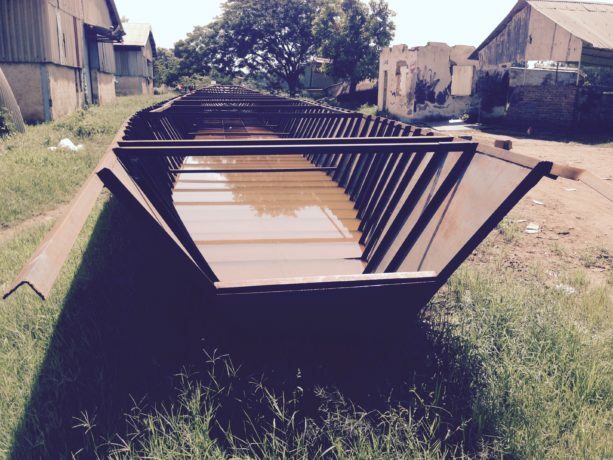 Boat is built in Juba. We learn that motor isn’t included in the boat price. We get a quote of $5,000 USD for a motor for the boat. May 2015 Photos of the constructed boat (without the motor) are sent to the US. July 2015 $5,000 USD for the motor is donated. Aug 2015 Continued economic instability and inflation puts the cost of boat motor at $25,000 USD to $30,000 USD. Boat is secure in Juba and our tiny volunteer organization has to put effort back on the school. Dec 2017 We learn that we will loose our boat storage in Juba and that we need to take urgent action to get the boat operational. Jan 2017 Michael Mayen finds a boat motor in good shape for $13,000 USD. Other work and maintenance costs to get the boat operational put the amount we need to urgently raise at $19,500. In April 2014 Rebuild South Sudan launched its second program: The Sustainable Supplies Initiative. The conflict that erupted in December 2013 led the world’s newest nation, South Sudan, into a new civil war. At the start of the war, we could not work on the school, but we also would not stand by and do nothing. Unfortunately many people in South Sudan were displaced during the initial fighting in late 2013 and early 2014. This fighting caused rural South Sudanese Villages across the nation to miss the planting season creating severe food shortages as people return to their villages. The Sustainable Supplies Initiative is designed to provide not just food but tools to build a food system in the midst of a looming, and now realized, famine. Jalle is located on the Nile, which can be used both for food and transportation with the right tools in hand. With the relationships and presence we already have as an organization, we are in a unique position to provide assistance. On top of the national distress, Jalle experienced increased regional distress from cattle raiding, a violent economic endeavor by some in neighboring communities. As a response, Jalle sat in a cirlce at a community meeting and asked themselves what would better the situation of both them and their neighbors who choose to raid cattle. This boat is meant to be part of a long term peaceful solution to an economic hardship. Since the war had (and has) made it nearly impossible to move forward with the school, given the magnitude of the building, we had to put the school on hold to respond to the economic crisis and continue in our partnership with Jalle on their quest for peace and stability. Please consider donating to this urgent cause as we seek to encourage economic empowerment for the people of South Sudan in the midst of distress.